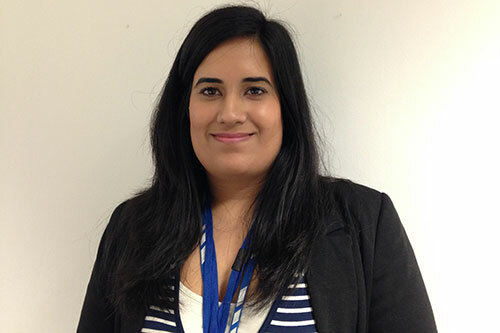 Priya undertook at placement at National Grid whilst studying for MEng Mechanical Engineering. Masters in Mechanical Engineering with a Placement Year, just seemed like the right degree choice for me. From day one I knew I wanted to work in Industry. A whole year working as a student undergraduate in a large organisation just felt like the right thing to do. Gaining that experience so early before I graduated was definitely a plus point according to me. Also I was keen on the general break between my studies, I would have considered a gap year travelling however when I got accepted at National Grid on the Student Development Programme I was over the moon. My placement was at National Grid, I worked in the Gas Distribution side of the business and I worked in Operations, in Repair, so the teams that actually physically repair the gas main once a gas leak has been reported. I worked on a project which involved launching a technology called KeyHole Technology, which effectively drills a hole in the ground and then a vacuum excavator is used to remove the debris. I had to ensure that the technology will be utilised for repair jobs in London. The experience. What are graduates lacking? Unfortunately sometimes it is experience and doing a placement year just ticks that box. Also I applied to National Grid's graduate scheme because I really enjoyed the student programme. Also just to understand and learn more about the energy industry, doing a placement year reconfirmed my interest. If the placement year didn't go how I expected it to, at least I would understand what I didn't enjoy. However for me, I enjoyed my time at the company and it just made sense to go back. I am now on the National Grid Graduate Programme, which lasts for 18 months and consists of three 6 month long placements. My first placement was in Gas Distribution in Operations and working in the Performance and Assurance Team. My second placement was also in Gas Distribution, I worked in Network Strategy in the Network Integrity Team, which was all about how we maintain and protect our gas pipelines underground. I am currently on my third placement in Corporate Affairs in Media Relations and Communications. I cannot express strongly enough how valuable a graduate scheme is. City University and my time spent studying there were phenomenal. I really enjoyed being in the centre of London and also studying at a university that takes engineering seriously. I knew City University was right for me at the open day I attended during Sixth Form. I obtained a Caterpillar Scholarship in my first year at university, bursaries in every year and also I obtained The Frederic Barnes Waldron 'Best Student' Award. City University definitely knew how to recognise its students. I was also awarded the Emile Al-Uzaizi Annual Prize for Engineering for my Final Year Project during my 3rd year.